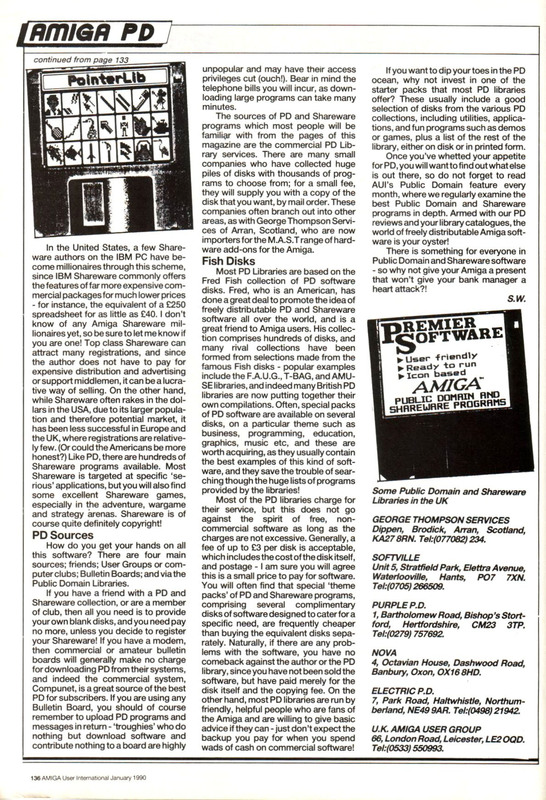 This is the last article I have been able to track down by me for Amiga User International. 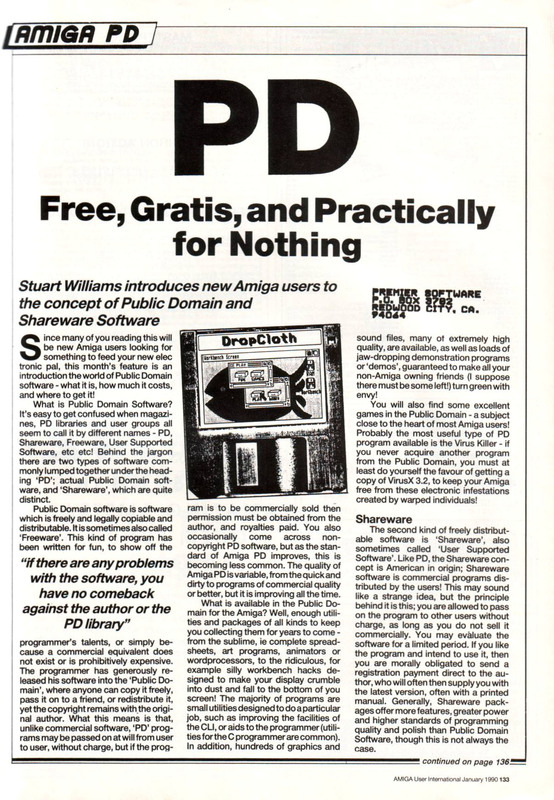 It is a general introduction to public domain and shareware software for new Amiga users. There is a gap in the scans of AUI which I have to hand, from February 1990 to August 1990. The August 1990 issue no longer shows me on the list of contributors, and I know I went off to pursue other things some time in that gap, but I can’t recall when. If you think you might have some issues of AUI which I do not (see under menu item M.I.A. for a list) then please do contact me! Click on the drop-down menus above to read other individual articles.